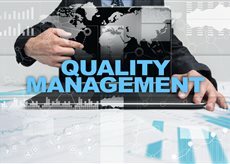 One of the best methods for improving your organization’s efficiency and consistency is implementing a quality management system. An excellent QMS shows you how well your organization is delivering quality product consistently. It also allows you to identify any potential problem areas so that you can correct them. One of the most important aspects of choosing a QMS is selecting QMS software that will meet all your quality needs. Here are a few tips to help you choose the best QMS software for your organization. • Flexibility – This is probably the biggest consideration in choosing a QMS solution. Your company’s needs are going to be very different from those of another company and you need to be able to customize the QMS software to meet these demands. It should integrate seamlessly with your existing systems and processes so that there are little to no changes to your workflow. • Design – While this may seem minor, it’s important to make sure you can customize the design of your QMS to reflect your company. Changing the design and layout of the software to look more like your existing software will help your employees feel more comfortable with using the platform. • Reporting – QMS software will generate a lot of data for your company. You must be able to filter and access that data in a way that is beneficial to your company. Make sure that the software you’re considering will provide you with the reports you need to assess your quality. These are just a few tips for selecting the best QMS software solution for your company. Other factors, such as scalability, integration with other systems, and implementation procedures also need to be considered. Regardless of which system you choose, be sure that your employees receive the training necessary to use it properly. The quality of the data the system generates is only as good as the data that is entered. Once fully implemented, a QMS will help your company find ways to improve efficiency, quality, and consistency.